It’s easy enough to understand how and why the amount of direct sunlight and temperature affect the efficiency of your solar panels. But did you know that the direction they face and the pitch—or angle—of your solar panels can affect the amount of energy they produce? If your solar panels are going to be mounted on your roof, then the pitch of your roof will play a large part in determining the angle of your solar panels. There are several factors in your control when it comes to finding the ideal pitch for your solar panels. Solar contractors recommend using the latitude of your home’s location as the degree of tilt. For example, the latitude of Los Angeles, California is 34 degrees, so the tilt of your solar panels would be 34 degrees. Whereas, if you live in Orlando, Florida, your latitude is 28, meaning your solar panels would be at a smaller angle than if you lived on the west coast. As most roofs are not flat, your solar contractor will factor the pitch of your roof into the equation. 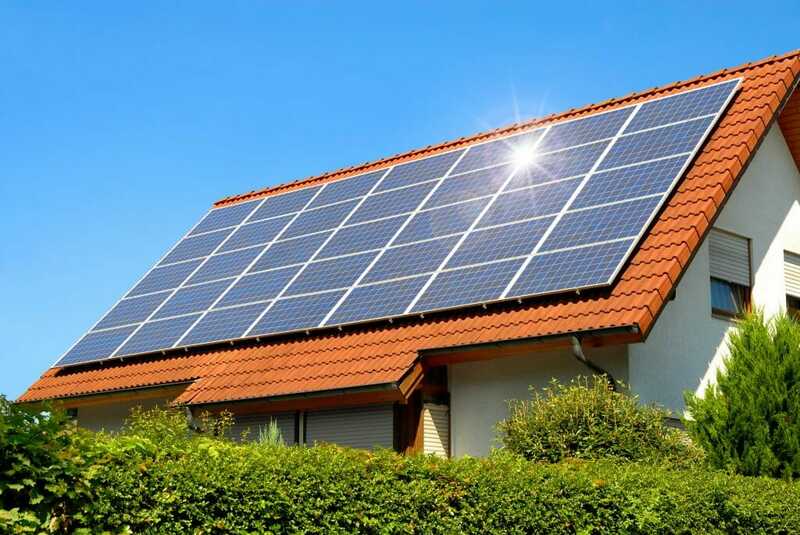 There are two types of solar panel mounting options: fixed or tracking solar panels. Fixed panels are stationary and remain at the same pitch throughout the day and year. Tracking panels live up to their name— they track the sun as it moves through the sky each day. Depending on the pitch of your roof, tracking panels may not be an option for your home. In that case, you’ll need to work with your contractor to find the optimal pitch for your solar panels. As you know, the sun’s path changes throughout the year. The days are longer during the summer, which means you get the most sunlight because of the sun’s summer path. You will find that your solar panels are able to produce the most energy during the summer because of this. During the winter, the sun’s rays are less direct because its path has changed. This is important because it may affect the pitch of your solar panels. If you are able to adjust the tilt of your solar panels, even manually, they will be significantly more efficient. If this applies to you, consider increasing the tilt of your solar panels by 15 degrees during the winter. During summer months, decrease the original tilt by 15 degrees. If you’re unable to adjust your panels, you don’t have to worry. The reason latitude is suggested is because it is between the maximum and minimum angles the sun travels in the sky throughout the year. While the pitch or angle is important to your solar panel’s efficiency, what truly matters most is the direction your home faces. 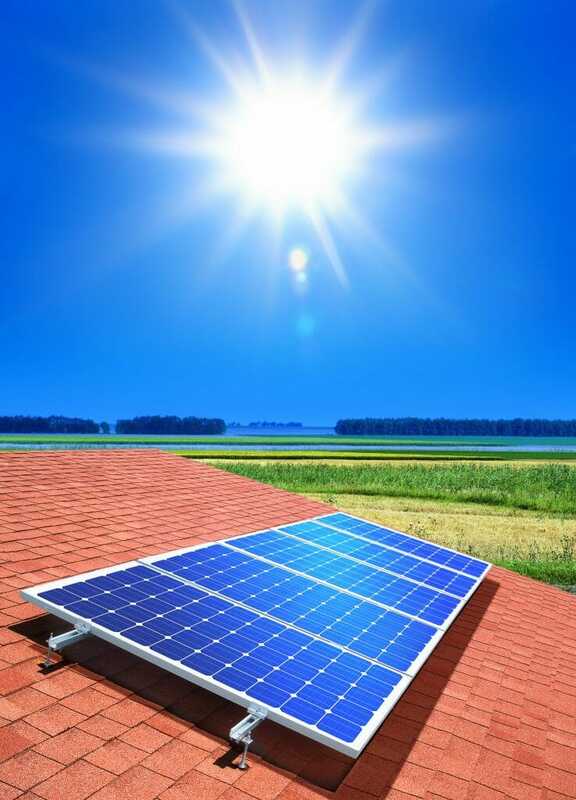 Pointing your solar panels in the direction with the most direct sunlight is imperative to producing the most energy. For homes in the northern hemisphere, panels should face true south. For southern hemisphere homes, your solar panels should face true north. If your southern facing roof has too much shade due to surrounding trees or buildings, you still have options. The eastern sun in the morning and western sun in the afternoon will still provide a good amount of energy for your solar panels to use. If that’s the case, keep in mind that the solar panels you install may not produce the full wattage they say they will. However, you will still notice a significant decrease in the amount of energy you need from your city’s power grid—and therefore a lower electricity bill each month.